Have you ever considered attending Community Christian Academy? What better way to determine if CCA is the place for you than spending the day with us? On Friday, February 1, come spend the day with us and “shadow” a current CCA student. 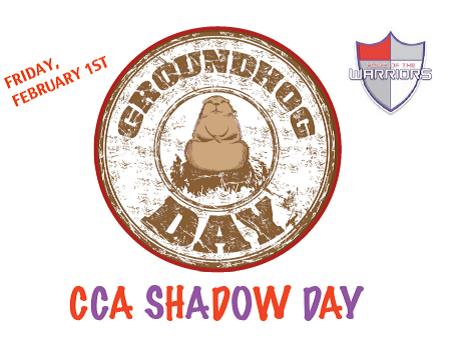 You will get to experience a day in the life of CCA! We would love for you to see what “Warrior Nation” is all about! If you are currently in grades 5th-11th, reserve your spot by emailing Principal Amy Carrico at amy.carrico@ccapaducah.org. Pizza Inn lunch is on us!! Reserve your spot by Friday, January 25!